Leadership | TETRA Technologies, Inc.
Stuart M. Brightman has served as our Chief Executive Officer and as a director since May 2009. From May 2009 until February 2018, he also served as our President. He served as our Executive Vice President and Chief Operating Officer from April 2005 through May 2009. Mr. Brightman also serves as chairman of the board of directors of our CSI Compressco GP Inc. subsidiary, the general partner of CSI Compressco LP, one of our consolidated subsidiaries and a publicly traded limited partnership. 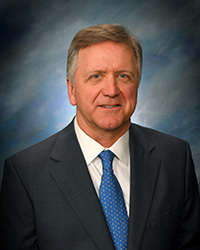 Mr. Brightman currently serves on the board of directors and as a member of the compensation and nominating and governance committees of C&J Energy Services.Prior to joining TETRA, Mr. Brightman held various leadership roles at Dresser and served in several financial and operational positions with Cameron Iron Works and its successor, Cooper Oil Tools. 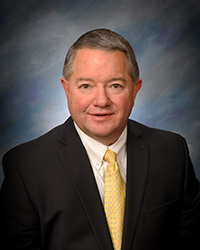 Brady M. Murphy has served as our President and Chief Operating Officer since February 2018 and as a director since December 2018. 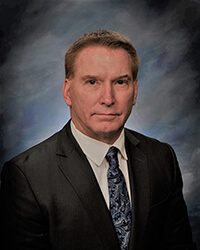 Mr. Murphy also serves as a director of our CSI Compressco GP Inc. subsidiary, the general partner of CSI Compressco LP, one of our consolidated subsidiaries and a publicly traded limited partnership. Prior to joining TETRA, Mr. Murphy served as chief executive officer of Paradigm Group B.V., a private company focused on strategic technologies for the upstream energy industry, from January 2016 until February 2018. Mr. Murphy previously served at Halliburton for 34 years and held numerous international and North America positions, including senior vice president – global business development and marketing, senior vice president – business development Eastern Hemisphere, and senior vice president – Europe/Sub –Saharan Africa region. Elijio V. Serrano has served as our Senior Vice President and Chief Financial Officer since August 2012. 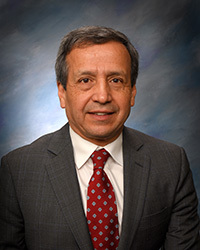 Mr. Serrano served as chief financial officer of UniversalPegasus International, a global project management, engineering and construction management company, from October 2009 through July 2012. Prior to his time with UniversalPegasus, he held numerous leadership positions at Paradigm BV, EGL, and Schlumberger. Mr. Serrano also served as director, chairman of the audit committee, and as a member of the corporate governance and nominating committee of Tesco Corporation until its acquisition by Nabors in December 2017. Mr. Serrano received his B.B.A. degree in Accounting and Finance from the University of Texas at El Paso. Mr. Serrano was a certified public accountant in the State of Texas from 1986 until March 2002, at which time his license became inactive. 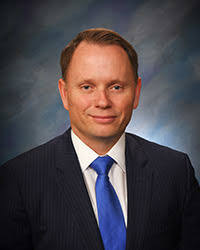 Bass C. Wallace, Jr. has served as our General Counsel since 1994 and as a Senior Vice President since May 2011. Mr. Wallace served as our Corporate Secretary from 1996 until May 2013. From 1984 to 1994 he was engaged in the private practice of law. Mr. Wallace received his B.A. degree in Economics from the University of Virginia and his J.D. degree from the University of Texas School of Law. Matthew J. Sanderson has served as our Senior Vice President since December 2016. As Senior Vice President, Mr. Sanderson is responsible for our Energy Services Group, which comprises of our Water & Flowback Services Division and our global Completion Fluids and Products division. Prior to joining TETRA, Mr. Sanderson spent over 19 years working at Schlumberger in various operational and functional leadership roles in North America and Internationally. He earned a Bachelor of Applied Science in Civil Engineering (Environmental Option) from Queen’s University in Kingston, Canada and a Master’s of Science in Oil and Gas Industry Management from Heriot-Watt University in Edinburgh, Scotland. President and Director of CSI Compressco GP Inc.
Owen Serjeant has served as President and a director of our subsidiary, CSI Compressco GP Inc., the general partner of CSI Compressco LP, since November 2017. Mr. Serjeant served in various senior operations management roles at Cameron International Corporation with increasing responsibility from July 1999 until April 2016, including Corporate Vice President – Global Operational Excellence and Group Vice President – Compression Systems Division. Upon Cameron’s acquisition by Schlumberger in April 2016, Serjeant served as Group Vice President – Global Operational Support of Schlumberger until joining TETRA. Mr. Serjeant his BSc degree in Mechanical Engineering from Aston University, United Kingdom, and his MBA degree from Henley Management College, United Kingdom. Jim Funke has served as Vice President since November 2007 and manages our chemicals manufacturing business. From July 1998 to November 2007 he served as our Vice President, Sales and Marketing for the chemical business. 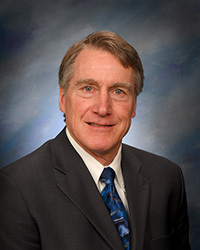 Mr. Funke began his career in finance at Mallinckrodt in 1979 and held various finance, sales and marketing roles with increasing responsibility, including International Business Director. Mr. Funke received his Bachelor of Science Degree in Accounting from the University of Missouri in St. Louis. Elisabeth K. Evans has served as our Vice President – Human Resources since January 2013. 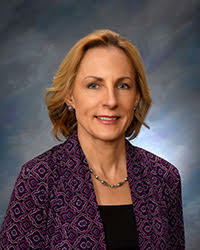 Prior to joining TETRA, Ms. Evans served as senior vice president of human resources and corporate communications of Boardwalk Pipeline Partners, a midstream master limited partnership that provides transportation, storage, gathering, and processing of natural gas and liquids, from February 2009 through September 2012. Ms. Evans also served in numerous human resources leadership roles for AGL Resources, Accenture, ARAMARK, and BP. Ms. Evans received her B.A. and M.A. degrees in Economics from Indiana University. Joseph J. Meyer has served as our Vice President – Finance and Treasurer since February 2015. 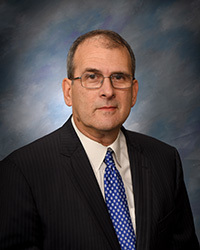 Prior to joining TETRA, Mr. Meyer served as treasurer of JBT Corporation, a multi-national equipment and technology solutions provider to the food processing and air transportation industries, from July 2008 through May 2014. Mr. Meyer also served in numerous treasury leadership and managerial roles for FMC Corporation and several national banks. Mr. Meyer received his B.S. degree in Finance from the University of Illinois at Urbana-Champaign and his MS in Management from Northwestern University. 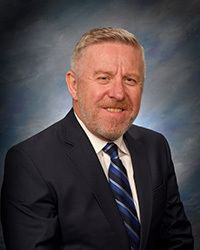 Tim has served as our Vice President and Chief Procurement Officer since April 2018. 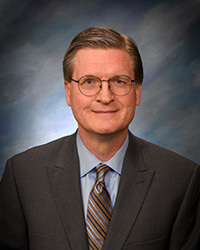 Prior to joining TETRA, Mr. Moeller served as COO of Melior Innovations and CEO of TessaFrac, private companies focused on the development and commercialization of innovative next generation materials solutions, which have broad application across multiple industries including Oil & Gas, Industrial Coatings, and Wide Band Gap Electronics from September 2012 to March 2018. Mr. Moeller also serves on the board of directors as Chairman for Alchemy Sciences (a Melior Innovations company) since October 2016. He also held numerous Supply Chain positions at Halliburton including Vice President & Chief Procurement Officer, where he was responsible for the global expansion of the company’s supply chain footprint into key emerging locations such as China, India, and Latin America. Mr. Moeller received a bachelor’s degree in business management from Texas A&M University. Outside of the work place, Tim has volunteered as a member of the Board of Directors for The Houston Minority Supplier Development Council, his Homeowner’s Association Boards, and Montgomery County’s Development Improvement Committee.